Drinking water is becoming an ever more scarce - and thus ever more valuable - resource. Although water covers 70 percent of the planet, readily accessible fresh water suitable for human consumption makes up less than one per cent of our global water resources. 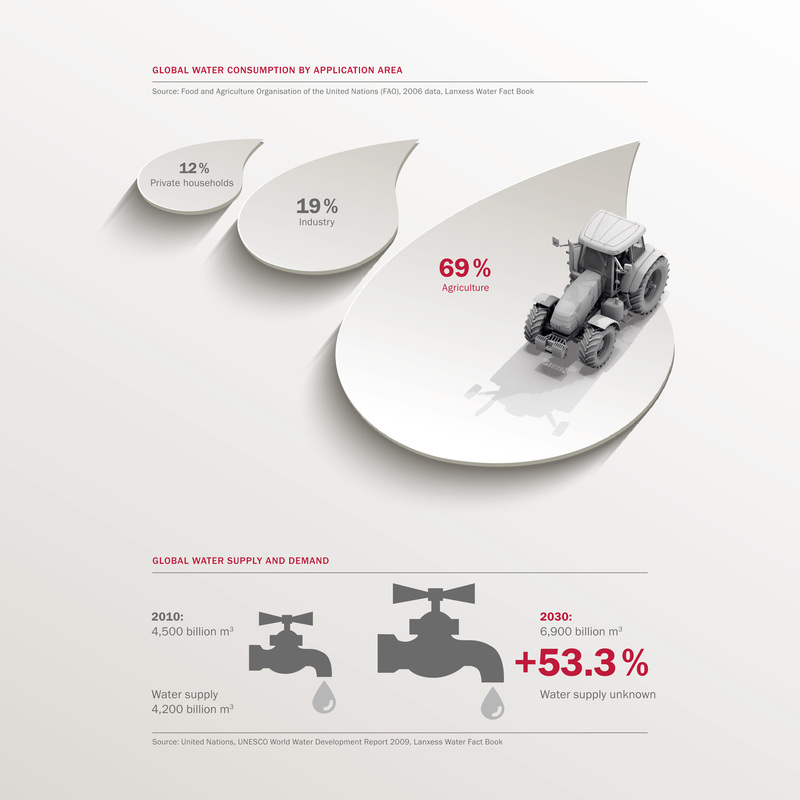 Around the globe, the demand for water is rising rapidly. Even today, almost a billion people have no access to clean drinking water, and some 2.6 billion people are living without sanitation. SIMONA was quick to enter the market for pipes and fittings for desalination plants that operate according to the reverse osmosis principle. The advantages of our products are obvious: outstanding corrosion resistance, long service life of up to 100 years, very smooth inner surfaces to prevent encrustation and high resistance to salt water. The market is expanding around the world, but especially in Asia and North America. To gain access to drinking water is becoming an ever more scarce - and thus ever more valuable - resource. Although water covers 70 percent of the planet, readily accessible fresh water suitable for human consumption makes up less than one per cent of our global water resources. Around the globe, the demand for water is rising rapidly. Even today, almost a billion people have no access to clean drinking water and some 2.6 billion people are living without sanitation. This key market, SIMONA applied for - and obtained - NSF certification for pipes and fittings of SIMONA® PPH AlphaPlus and PPR. Our products are therefore compliant with the strict standards applicable to drinking water piping systems within the US market. In Germany, too, system operators rely on our expertise: SIMONA® PPH AlphaPlus® pipes are installed in water treatment plants designed to reduce the geologically linked uranium content in water, for example, or nitrate and sulphate content by means of partial desalination.